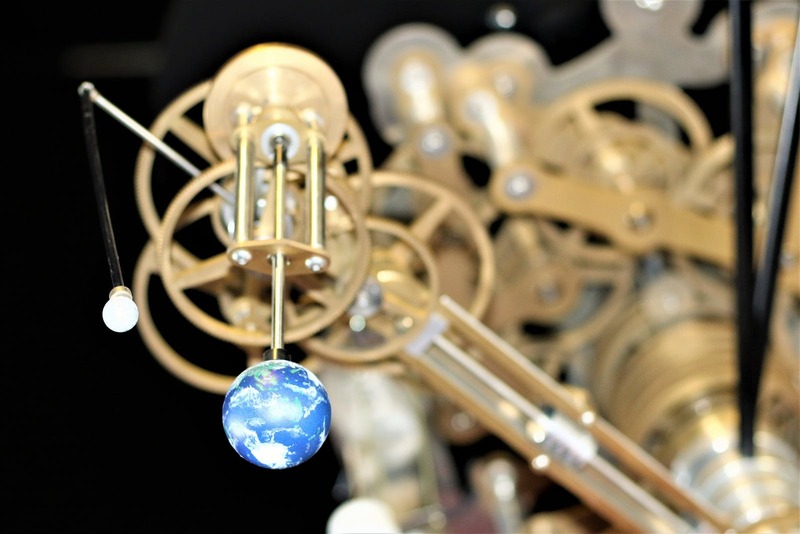 This orrery is a mechanical model of the solar system showing the movement of the major planets around the Sun. 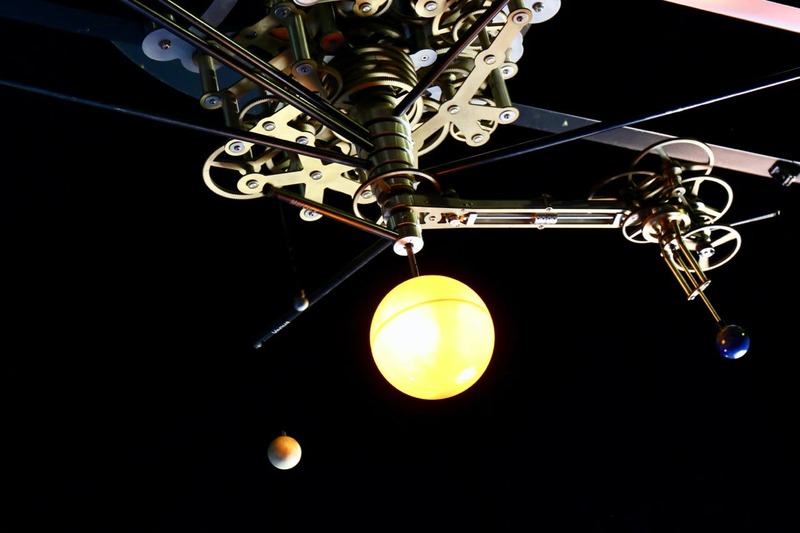 It also shows the Moon in orbit around Earth. 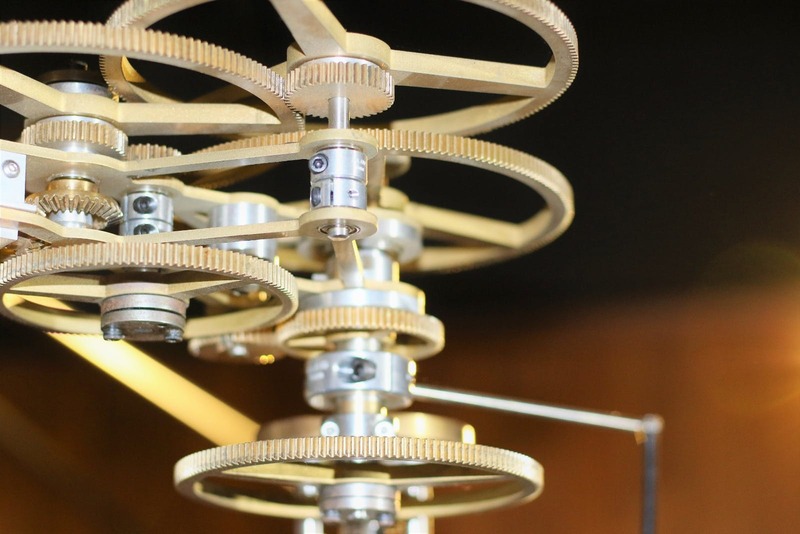 It has been designed with 52 brass gears so the planets orbit around the Sun at roughly the right speed in relation to each other. 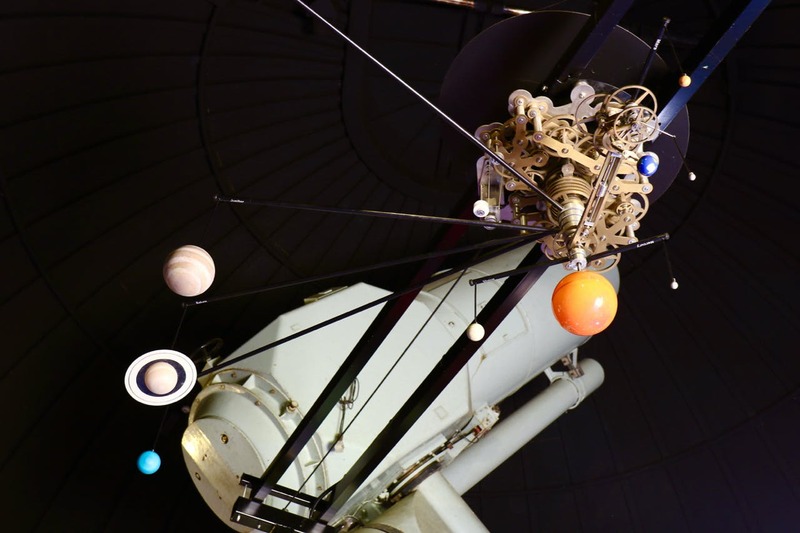 You will notice how the inner planets move a lot faster than the outer planets. 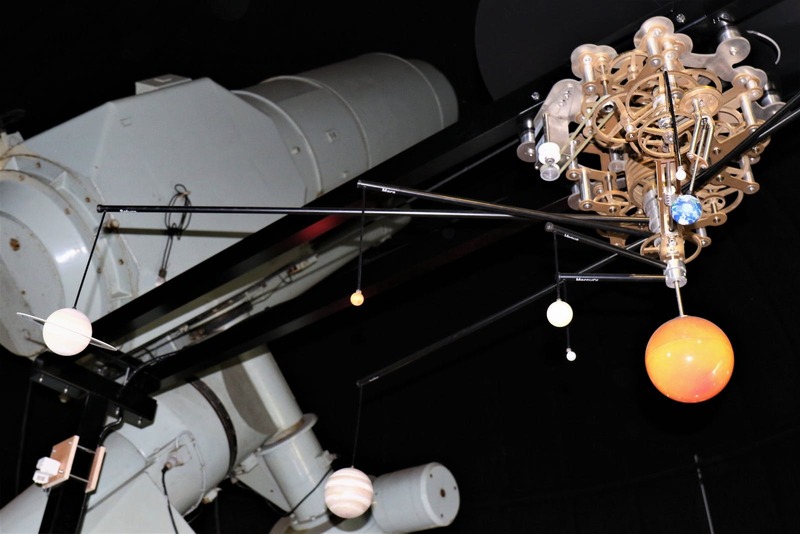 It is not to scale because if it were the Sun would have to be very much bigger; over 100 times the diameter of the Earth (about half the diameter of this dome!) 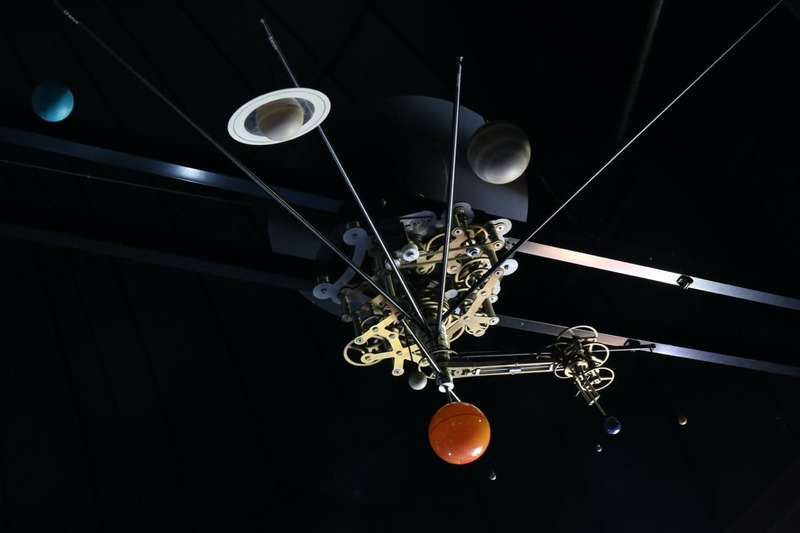 Also the planets don’t have circular orbits as shown; they move in slightly elliptical orbits with varying degrees of eccentricity. This would be difficult to represent mechanically. 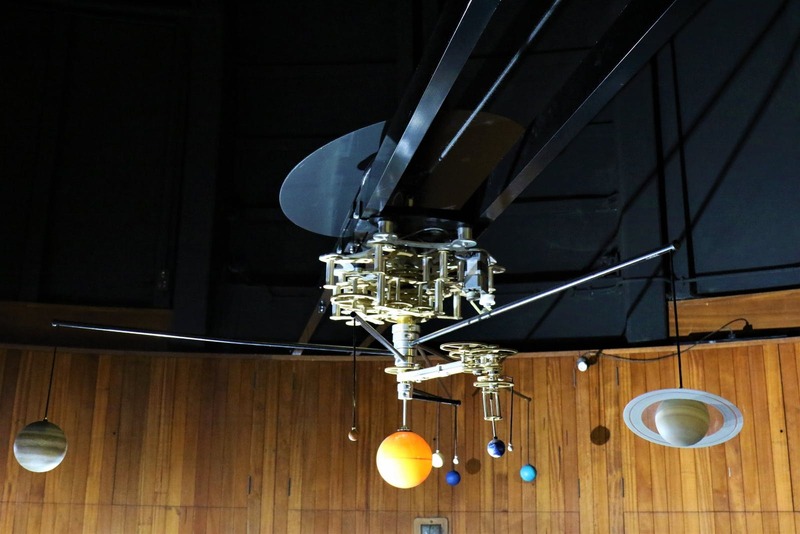 Working models of the Solar System called planetaria have been around since antiquity but the first orrey of the modern era showing the planets orbiting the Sun, was built in 1704 by clockmakers George Graham and Thomas Tompion. 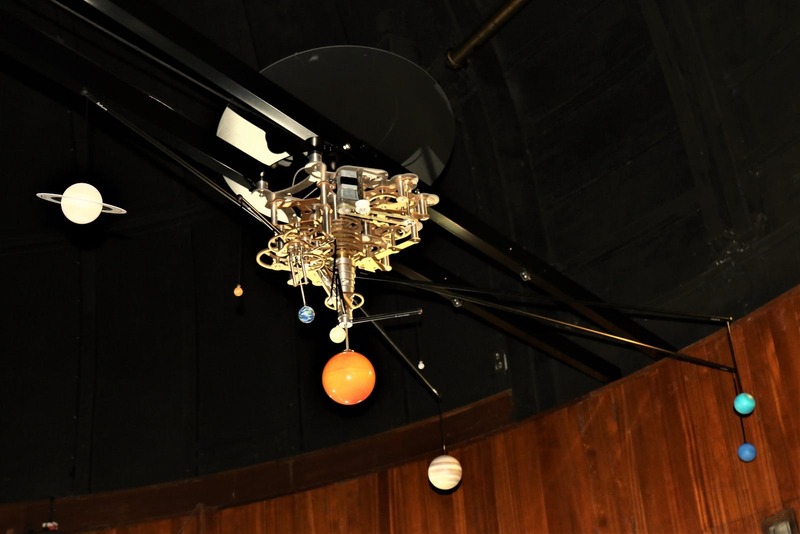 The key feature is a Sun centred (Heliocentric) model which was only beginning to be accepted during the late 17th Century. 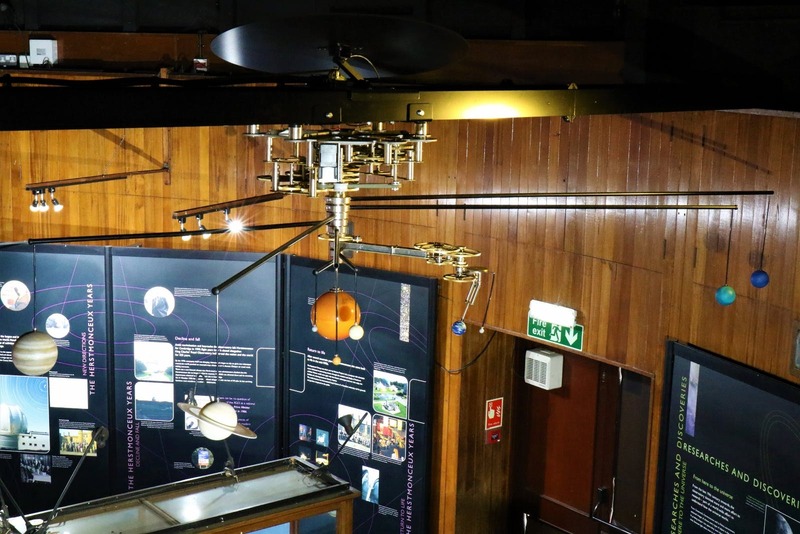 The design for the model was given to John Rowley who made a copy in 1713 for his patron Charles Boyle, 4th Earl of Orrery which is where the name orrery comes from.